Join us for a tasty and fun-filled afternoon Sunday, June 26, in the New London Historical Village from 1-4 p.m. featuring the Berry Delicious Contest. Tempt our judges, Greg Berger, Springledge Farm; Reade Clarke, Clarke’s Hardware; and Cheryl Devoe, Foodie Extraordinaire; with your favorite recipe, and vie for cash prizes. Help crank out creamy strawberry ice cream on the old-fashioned ice cream maker. Enjoy songs performed by the New London Barn Playhouse junior interns. Join in the Village-wide scavenger hunt. Shop the Country Store for penny candy, cold beverages, old-fashioned children's games and gifts. 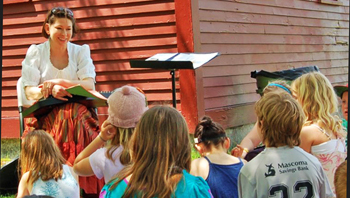 Listen to storytelling in the Schoolhouse. Enjoy challenging games—made and supervised by Bill Burris. Do you have children or grandchildren entering 5th or 6th grade in the fall? 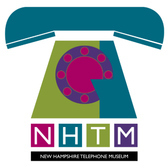 Be sure to enroll them in our new Hands-on History camp to experience life as it was lived over 100 years ago here in New London. We have room for a few more campers. Two one-week sessions are available: July 11 – 16 and July 18 – 22. The camp runs from 9 a.m. to 3 p.m. each day, and you may attend one or both sessions. Cost is $200 for one week. $375 for two weeks. An evening of farm fresh hors d'oeuvres and libations, catered by Tucker's of New London to celebrate the Lauridsen House and dedication of the Maude Swift Gallery. Opening exhibit art by Dr. Anna Littlefield. Silent auction of Lauridsen artifacts and collectibles. $75 per person. Construction of an up-to-date restroom facility attached to the Phlllips Barn was completed in early June. Who would think we could be so excited about a new bathroom? The new ADA compliant addition allows us to accommodate visitors during our programs and events. This amenity also enhances our rental package where customers have the rustic charm of the barn and the creature comforts offered by a new facility. Volunteer Nicole Densmore instructs her students in music outside the Village schoolhouse. Always free entrance to the Village. Two free passes for guests. Discounts on event tickets, store gift items, and facility rentals. A bag for you is a buck for us! There is still time to support the NLHS by purchasing a Hannaford’s Reusable Bag. During the month of June, purchase a reusable Hannaford’s Karma Shopping Bag, and Hannaford’s will donate a dollar a bag to the New London Historical Society. So far 45 bags were purchased. Let's double/triple that by June 30. 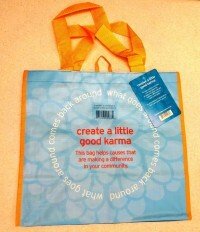 Buy reusable shopping bags at Hannaford's during June. Use AmazonSmile-New London Historical Society. Contribute/Buy my books at Hannaford in August. Shop at our Country Store. Enroll your children in Hands-on History Camp. Donate handmade crafts to sell at the Country Store. Give to our Raise the Roof Annual Fund. Encourage your boss to be a Business Partner Member. Name the NLHS for memorial gifts. Visit our Historical Village and bring a guest. Rentals: By the hour, by the day, by the weekend. For more information log on to our website under the “Programs & Rentals” tab.